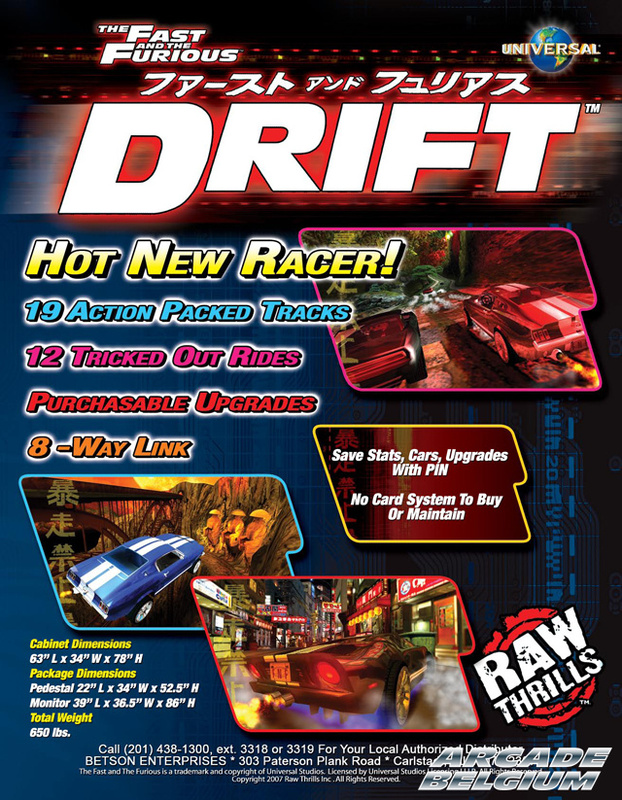 Raw Thrills's new racer is out! 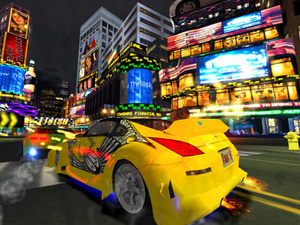 Launched at ASI 2007 show in Las Vegas, The Fast and the Furious Drift, that's the name, is an upgrade to the popular Fast and the Furious released in 2004. 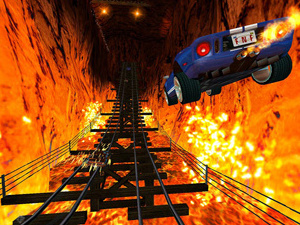 Still so fun, this brand new version offers 12 new cars and 7 additional tracks taking place in and around Tokyo (for a grand total of 19 courses!). The goal is still to earn money while racing in order to upgrade and tune your car (which is kept in the machine thanks to a PIN code). New feature: the player can purchase spare parts faster by adding credits. 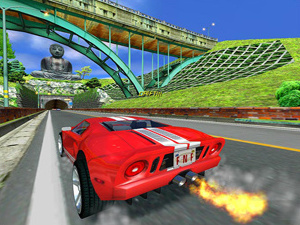 Thus like in real life, richest people will have the best cars. Cabinets feature 27" monitors and are sold in sets of two in Europe. 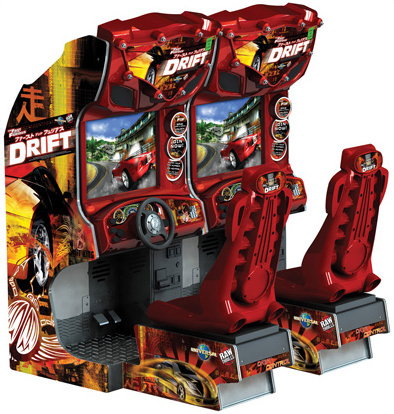 Up to 8 machines can be linked-up for furious multiplayer races. 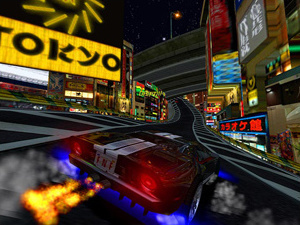 - Original name was "Tokyo Drift". 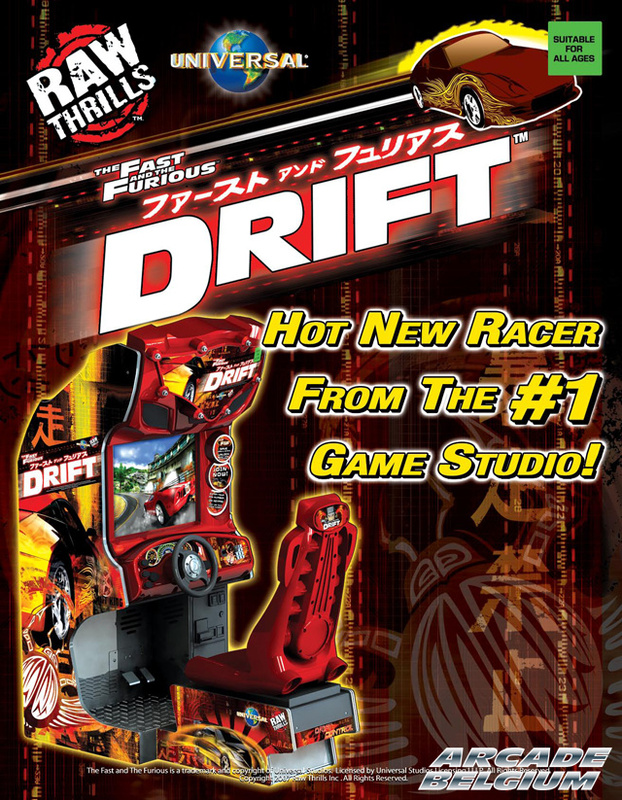 This one was changed at the last moment to "Drift" to avoid confusion with a Namco game in the making based on the same franchise. - Even if this game is an upgrade to The Fast and the Furious, an upgrade kit won't be available in the near or forseeable future. - In the USA, the cabinet exists in sitdown and upright formats. In Europe, a kit consisting of two linked-up sitdown cabinets is the only available version.